With the growth of the population of Lower Hutt and Wellington in the late 1930s and early 1940s, new housing estates began appearing north of Mitchell Street and both east and west of High Street. These developments were for the main part sited on land that had been market gardens or dairy farms. Early settlers had felled and cleared the bush to grow crops for the supply of Wellington city. Isolated settlements were enveloped by the new housing and many families with young children soon populated the area. It was thought that the area opposite Lincoln Avenue and surrounding Kingston Street, would be known as Kingston Park, due to an estate agent’s advertising, but this never eventuated. A thriving Sunday school and fellowship which operated from the home of George and Winsome Chaplow at 7 Hart Avenue was the basis of the community of believers in this locality. Winsome was the daughter of NZ Baptist missionaries, Mr and Mrs John Takle, who had established a work in Brahmanbaria, India, now Bangladesh. A Baptist Women’s Missionary Union was soon established. This influence of mission from the early days has ensured that there have been strong links between the church and Tranzsend, the New Zealand Baptist Missionary Society, as well as other missionary endeavours. The Baptist Association and Lower Hutt Baptist Church saw the need for a new church to be established in the state housing settlements and land was purchased for £400 on High Street near to the corner of Lincoln Avenue. The church building, which is now used as a hall, was erected in July 1941 and Kingston Park Baptist Church was formally established on 17/02/1946. On 15/10/1975 the name was changed to Avalon Baptist Church. The Sunday school by this time had grown to 100 attendees in the main school and 100 pre-schoolers, known as the primary department. Extensions to the building were provided about 1949-50, and a photo appeared on the cover of the ‘Baptist’ magazine featuring the primary department. Bible Classes and Christian Endeavour Societies were strong in the 1950s. The Rev Arthur Gibbs visited the members of the congregation by push-bike and accompanied the youth on bike rides. When it became possible to attach a motor to an ordinary bicycle, Mr Gibbs, on a Bible class outing, rode in turn, everyone else’s bike, while each Bible Class member tried out their new acquisition! In 1956-58 when young people were becoming more mobile, trips to the Marlborough Sounds and a tour of the South Island were undertaken over the Christmas holidays. In those times it was permissible for young people to use church halls to stay overnight for short periods. Many churches were visited in this way. When the corner section of Lincoln Avenue and High Street was known to be on the market, a diaconate meeting was adjourned to allow the minister, Dr Stan Edgar and a deacon to enquire. The section was subsequently purchased for £3,650 in April 1956, the house thereon sold for £600 and moved to Garden Road the following July. The new church was officially opened on 18/02/1962. Other adjustments to the facilities were carried out in the period 1987-89 to accommodate Early Childhood activities. On 25/01/2005 Church services and Sunday school activities were held in Dyer Street school hall and some classrooms. All other weekday activities had to be suspended in the interim while building works were being carried out in the church. In September 2005 the congregation returned to a renovated complex providing auditorium, offices and children’s facilities, plus a new lounge formed by covering over the open area between the hall and the High Street main entrance. Social outreaches into the community at various times included Girls’ Life Brigade and Cadets, Friendship club, bowls, neighbourhood morning teas, after school children’s clubs, holiday clubs, Friday night creative classes, shopper’s crèche, veggie co-op, playgroup and Mainly Music. The church financially supported the setting up of Aroha Care Centre for the Elderly. There is a strong Burmese group, mainly Chin, in our local community that has joined in fellowship with us. They hold a Burmese service in the hall at 2pm on Sunday afternoons. 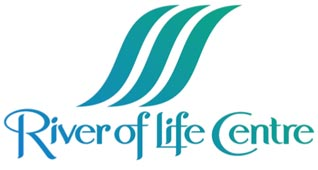 As of 1 December 2011, the church changed its name from Avalon Baptist Church to River of Life Centre.